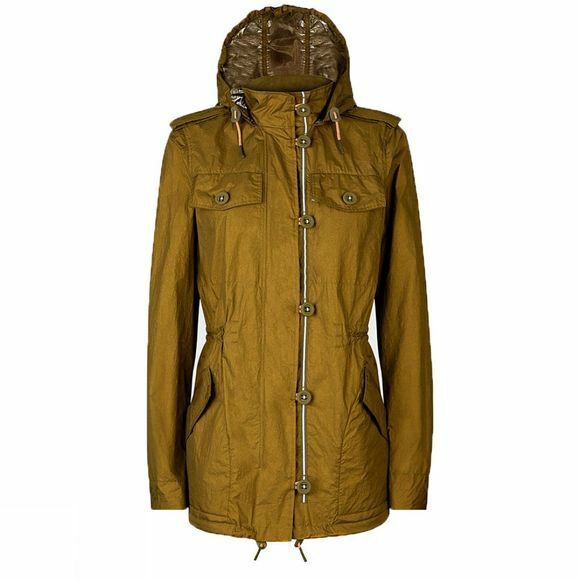 The Womens Original Utility Jacket from Hunter is a water-resistant, lightweight jacket that is far from ordinary. Made from a silver foil backed fabric, it offers a contemporary look to your outdoor wardrobe and is the ideal jacket for walks with the dog out in the hills, trips to the shops or festivals. No matter where you go, you look good doing it. With adjustable waist and hood for a more feminine shape, four pockets for all your essentials, it is sure to be your go-to jacket for all kinds of different day outs.